When you learn how to make Oriental salad recipes you will find the name refers to the ingredients and seasonings used to prepare them. The word “Orient” means the East or relating to the Eastern world. In food terminology we relate Oriental food to Asian food; this could be Chinese, Japanese or any of the food coming from any of the Asian countries. 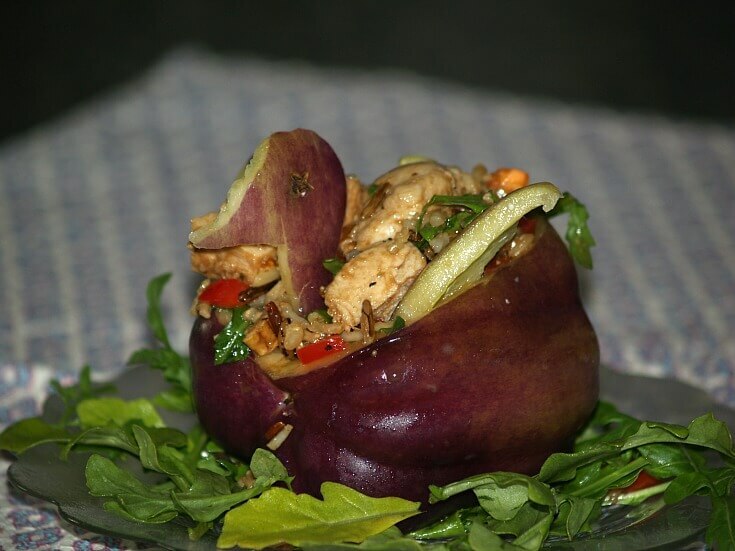 As you are learning how to make Oriental salad recipes you will find them to contain one or more of the many ingredients familiar to the Asian cooking. Soy sauce is one very popular ingredient found in most recipes; with salads it is often included in the dressing. Pineapple, mandarin oranges, bananas and melons are some of the fruits often included in recipes, Water chestnuts, sprouts, cabbage, carrots and green onions are some of the vegetables very familiar to the cuisine. When I learned how to make Oriental salad recipes, what I liked most was the crispness. So many of the ingredients used in them are very crisp and even crunchy offering a lot of texture in every bite. Many flavors are inviting with the addition of a variety of dressings topping them off; one of my favorite being a well seasoned peanut dressing. The following salad contains lychees. Lychees are an ancient Chinese fruit originally grown in Southern China. They now are grown many warm subtropical to tropical climates around the world where the temperatures do not get too cool. This fruit does not last long once it has been picked so it is hard to find these in the fresh form. The seeds in this fruit are poisonous. Cans of lychees can be found in many supermarkets in the Oriental section. The sweet white flesh of the fruit is high in vitamin c.If learning how to make a salad you will find many unusual fruits and vegetables used in Oriental cooking. Garnish: Additional grapes, strawberries etc. Combine chicken, grapes, celery and the ½ cup almonds in large bowl. In small bowl combine mayonnaise, soy sauce, curry, salt and pepper; mix thoroughly. Add mayonnaise mixture to chicken mixture and toss thoroughly. Cut cantaloupes in half shaping a pretty edge (Scalloped or in “zigzag” pattern). Remove seeds from cantaloupe halves. Line the bowl with lettuce leaves and place the cantaloupe on top. 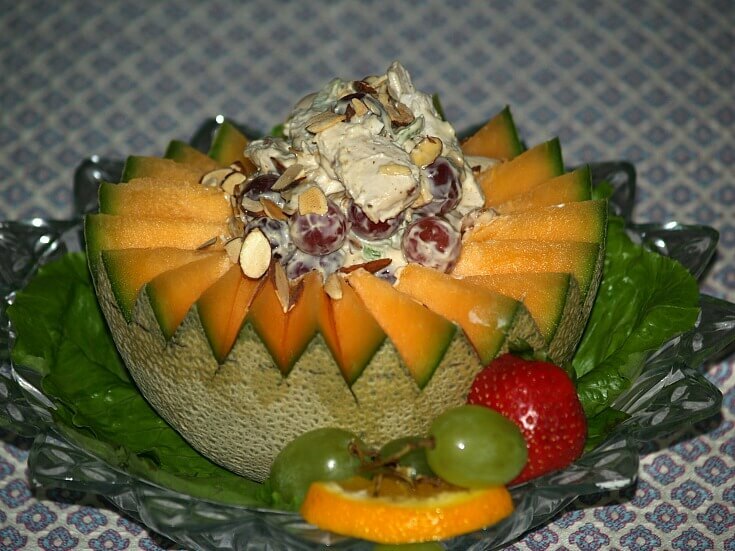 Divide salad mixture among the cantaloupe halves. Garnish with toasted almonds and extra fruit. Chicken is a favorite protein often added to the Oriental salad recipes; this hot chicken salad recipe is great. Combine first eight ingredients and put in a baking pan. 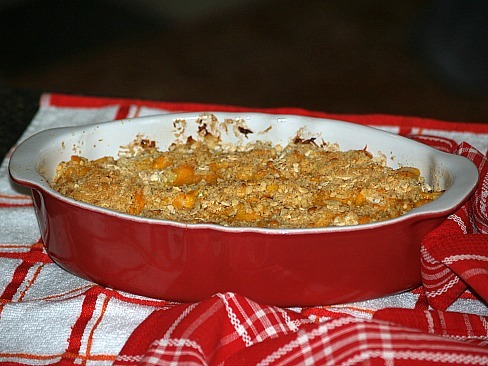 Make a layer of cheese on top; then a layer of cracker crumbs over the cheese. Bake in preheated oven at 350F degrees for 15 to 20 minutes. Cook rice to package directions substituting chicken broth for water; cool. Bake pecans in shallow pan in preheated oven at 350F degrees stirring occasionally to toast. 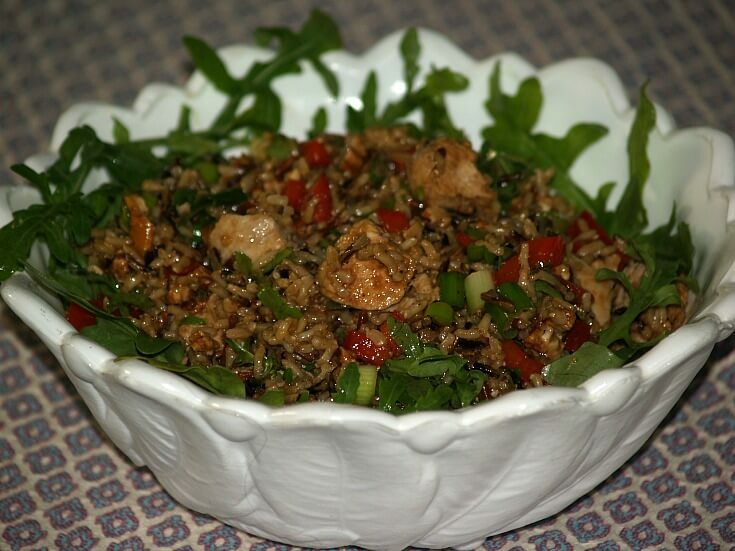 Combine rice, pecans, chicken, red pepper, arugula and green onion in a large bowl. Combine and whisk together soy sauce, vinegar, sesame oil, salt and pepper. 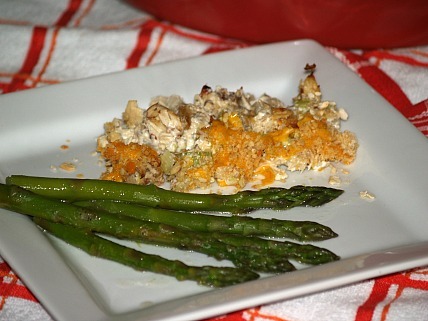 Pour dressing over chicken mixture and toss to coat; serve on lettuce lined plates. In large mixing bowl combine and mix mayonnaise and cream of coconut. Add and blend in sour cream and Worcestershire sauce. Add the cooked rice and mix well; stir in diced cantaloupe. Add parsley, raisins, carrots, pineapple and chicken; blend well. Let salad set for 15 minutes; season to taste with salt and white pepper. Chill for 2 hours before serving to blend flavors; serve on lettuce leaves. This Oriental salad recipe is a blend of many of the delicious fruits with added flavor and texture coming from the lychees. Mix all fruits together, cover and refrigerate overnight to blend flavors. In this Oriental salad recipe, water chestnuts, soy sauce and sesame seed oil helps to make up the wonderful flavor of an Asian slaw recipe. Shred cabbage and put in a large bowl. Add water chestnuts. In a small bowl combine the soy sauce, sugar, vinegar, sesame oil, salt and pepper. Mix well and pour over cabbage and water chestnuts. Toss to blend well. Cover and refrigerate for several hours. Combine and mix all ingredients well. Place mixture in lightly oiled casserole dish. Bake for 30 minutes until hot; serve hot. Combine and mix all salad ingredients together. Combine and mix all dressing ingredients whisking well. Combine the salad mixture with the dressing mixture. Toss altogether; toss in noodles right before serving. In large bowl combine cooked chicken, bean sprouts, peas and green onions. In a small bowl mix together oil, soy sauce, ginger, salt and sugar. Add oil mixture to the chicken mixture; add celery and water chestnuts. Toss all ingredients until well blended; serve chilled.